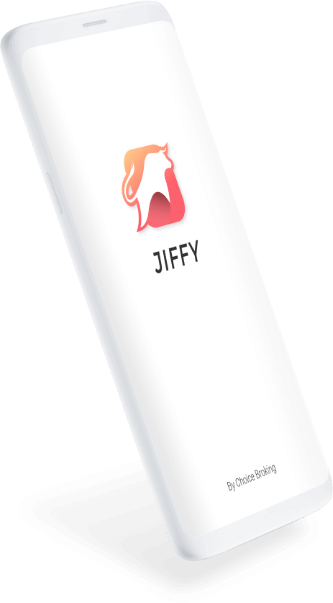 Jiffy offers a swift trading experience across Equity, Commodity, Derivatives & Currency and encourages feedback from traders. Because we’d love to change the way stock trading happens. Get all scrip info across different exchange segments on one page along with real-time market depth, bids and offers, charts, and 52-week low and high price. 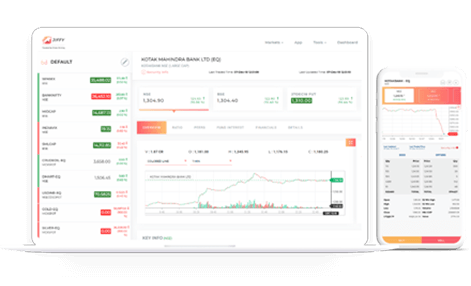 Easy search and simple navigation that helps you streamline trading activities in a few clicks with new functionalities and actions that make user interaction easier. Buy and sell from four different places, i.e. Scrip Overview, OrderBook, Portfolio and WatchList. Get notified when exchanges, indexes and spots reached your target price. Stay updated when there is a 5-10% up and down in your holdings. Secure retrieval and storage of data with 256-bit SSL Encryption. Two-step security authentication that adds an extra layer of security to prohibit unauthorized access. A trusted platform that is SEBI and AUA audited. Trade with the best mobile trading app in India and avail lucrative benefits. Mind blowing app!! 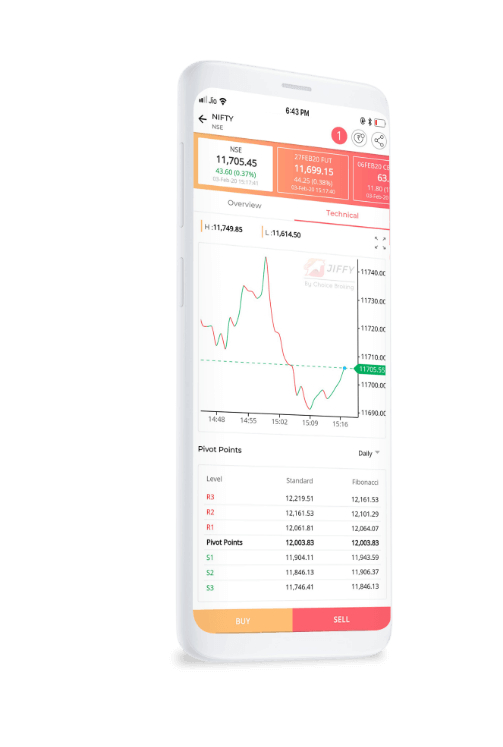 The features are just outstanding unlike any other FM app, it shows all my investment with current value and invested with one click. Other than this, I can buy and sell scripts with one click. Withdraw back money to my bank account all other unbelievable functions related to broking. Strongly recommended for super ease in trade. Play the complex markets the simple way with the best trading app in India. © Choice International Limited. All Rights Reserved. Attention Investors: (1) Prevent Unauthorized Transactions in your account --> Update your Mobile Number and /or email id with us. (2) Receive alerts on your Registered Mobile for all debit and other important transactions in your Demat account & Trading account directly from Depository & Stock Exchange on the same day on your mobile or email. (3)No need to issue Cheque by investors while subscribing to IPO. Just write the bank account number and sign in the application form to authorise your bank to make payment in case of allotment. (4)No worries for refund as the money remains in investor's account. (5)Registration details: Choice Equity Broking Private Limited –SEBI Reg. No. INZ000160131, BSE – TM Code – 3299, NSE – TM Code – 13773, MSEI - – TM Code – 73200, , MCX – TM Code – 40585, NCDEX – TM Code – 01006, ICEX TM Code -1274 (6) Depository Participant SEBI Reg. No. - IN-DP-84-2015, CDSL DP ID – 12066900. NSDL ID: IN301895 (7) Investors should be cautious on unsolicited emails and SMS advising to buy, sell or hold securities and trade only on the basis of informed decision. Investors are advised to invest after conducting appropriate analysis of respective companies and not to blindly follow unfounded rumours, tips etc. Further, you are also requested to share your knowledge or evidence of systemic wrongdoing, potential frauds or unethical behaviour through the anonymous portal facility provided on BSE & NSE website. (8) Once KYC is done through a SEBI registered intermediary (Broker, DP, Mutual Fund etc. ), you need not undergo the same process again when you approach another intermediary.